In Louisiana, not only do they have great food and music, they also have their own language. A part of their lexicon is a fantastic word – Lagniappe. It means a little something extra (pronounced LAN-yap). This could be an extra few slices of meat at the deli, a free dessert at the restaurant or a chocolate treat on the pillow at your hotel. It’s such a terrific word and I am in love with it (I may name my imaginary bar in its honor) as only a word geek can be. The word entered English from the Louisiana French adapting a Quechua word brought in to New Orleans by the Spanish creoles. It derived from the South American Spanish phrase la yapa (referring to a free extra item, usually a very cheap one). When I told my Louisianan friend Alicia about my discovery of the word, she wasn’t so much impressed about my linguistic prowess, rather “Sister, you NEED to know that word”. And so, to a little something extra with my cheese. Pairing cheese with condiments and accompaniments is not really a science. It depends on personal preferences and tastes (don’t tell the French that). For example, Italians like to have bread with their cheese, whereas the French tend to let the dairy speak for itself. I’m known for liking my cheese pure and simple, but sometimes you do need that “little extra” for example some honey, a relish or an olive to give it a little buzz. Balsamic Vinegar – This is a new one for me and it pairs well with hard aged cheeses such as Parmigiano Reggiano, Pecorino Romano or aged Goudas. Drizzle Balsamic Vinegar over cheese or dip a piece of cheese in a small bowl of Balsamic Vinegar for the best balance of flavors. Try the older more aged vinegars, some are like syrup. Bread – Most breads pair well with cheese as long as the flavor of the bread does not overwhelm the cheese. Try a slice of crusty bread with blue, Brie or Parmesan cheeses. Pair rye bread with a Cheddar, Gouda or Gruyere. A heavy Pumpernickel pairs well with Mozzarella or Jarlsberg. Chutney – Made from vegetables, fruits, herbs and spices, chutneys may be sweet or hot and smooth or chunky. Fruit based ones go brilliantly with creamy young cheeses or a mild Swiss cheeses while a savory style such as tomato-based pairs well with sharp Cheddar cheese. Extra Virgin Olive Oil – Who doesn’t love a glug of EVOO? Fresh cheeses such as Mozzarella, ricotta and goat cheese absorb a drizzle of Extra Virgin Olive Oil well and showcase the oil’s complexity of flavor. Mustards – Plain or flavored mustards are popular accompaniments for cheese. English mustards provide the perfect amount of spice to strong Cheddars while French mustard pairs well with more delicate French cheeses, such as the soft Port Salut. Olives – These give acidity and saltiness to cheese. Mild and meaty olives, such as olives stuffed with cheese or garlic pair well with dry aged cheeses, while spicy olives (marinated in chilli or garlic or even both) pair well with fresh young cheeses such as Mozzarella, ricotta or a creamy goat cheese. Now this isn’t an exhaustive list. You can also try nuts (walnuts), dried fruits 9especially figs) or a chunky fruity jam with cheese. 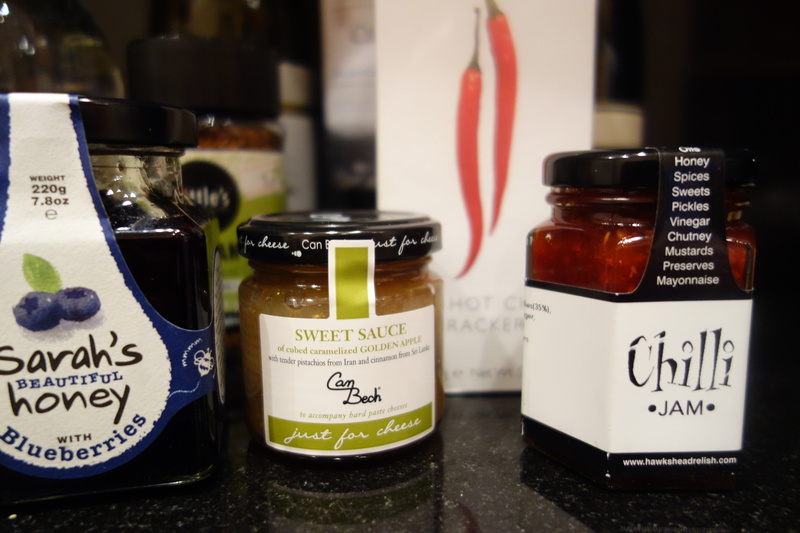 I was recently given some condiments and biscuits for cheese to sample – some tried and tested other new flavors. 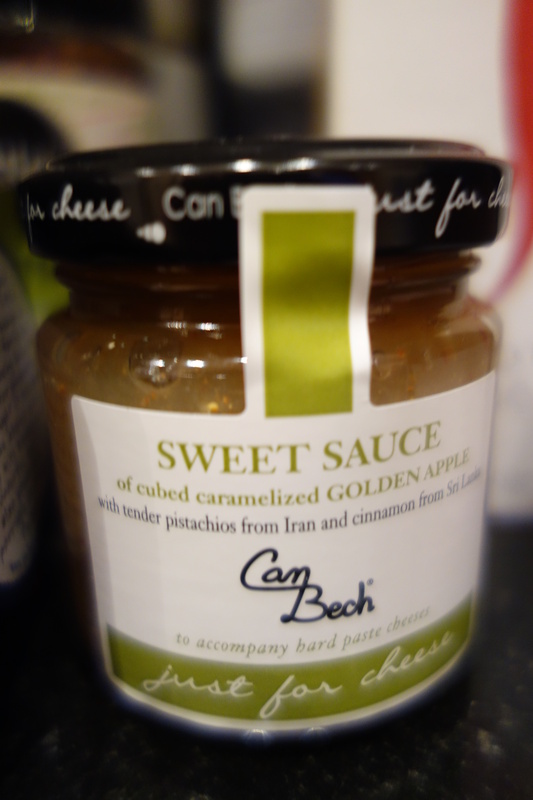 Can Bech Sweet Sauce for cheese is made from cubes of apple enhanced by cinnamon and pistachio nuts. It’s very sweet (for me at least) but interacted well with “hard paste” cheeses like a parmesan. 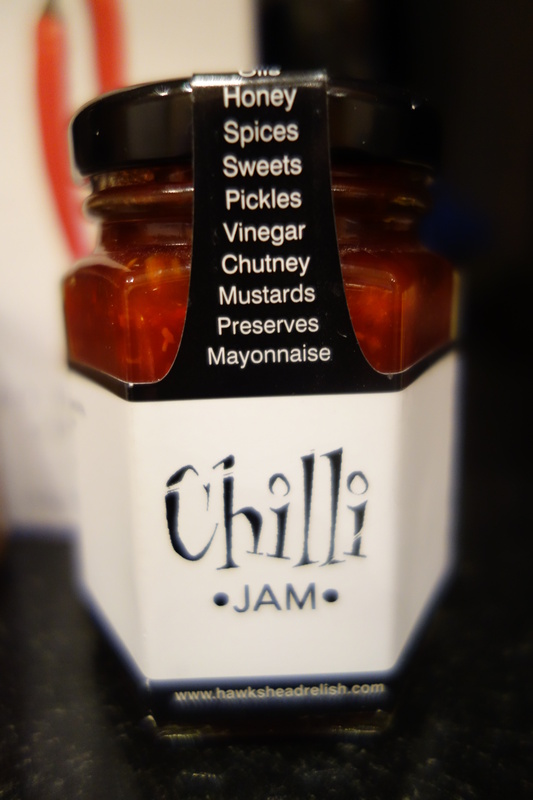 For something a little spicier, I tried the Hawks Head Relish Chilli Jam which is really for grilled meats but can go nicely with a mild cheese you may want to amp up. 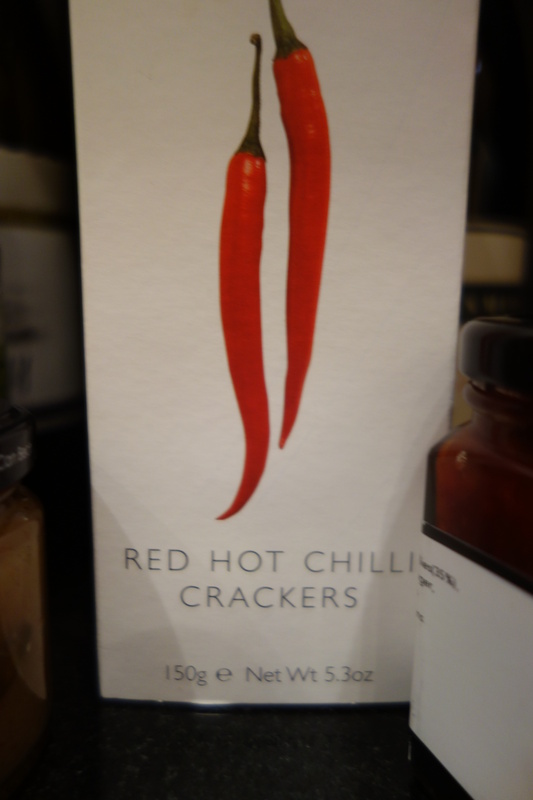 I like a bit of heat and this really spiced up some dreary Swiss cheese we had on hand. I could see this as a “sandwich” relish. Back to the sweet end of the taste barometer (where I have to admit I am not comfortable) sits the alluring http://www.mileeven.com/products.html which again, is not usually associated with cheese, but honey with a strong blue or hard parmesan is a thing to behold. Meanwhile, what’s a cheese without a cracker? These beauties from the Fine Cheese Company add just the right type of bite and crunch for a hard and sharp cheddar. As I said, it all comes down to your individual preferences. But really, who doesn’t love a little bit extra (in cheese and in life)? Isn’t it a fab word? Thanks for the kind comment!